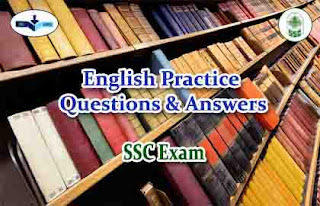 Directions ( 1-10) : In the following questions, a part of the sentence is in bold. Below are given alternatives to the bold part at (a), (b) and (c) which may improve the sentence Choose the correct alternative. In case no improvement is needed, your answer is (d). 1). The traveler commanded of the peasant he would tell him the way to the nearest village. 2). As I am new to the place I felt like a fish in water. 3). The flood – affected people are looking forward with the visit of the Governor. 4). He is fond of saving money. 5). He comes often to our house. 6). It is Monday today, can’t it? 7). I naively assumed that I would be paid in the work. 8). The planet should be visible through the nake eye. 9). They are good customers who always pay in the nail. 10). He is not noted in his sense of humour.